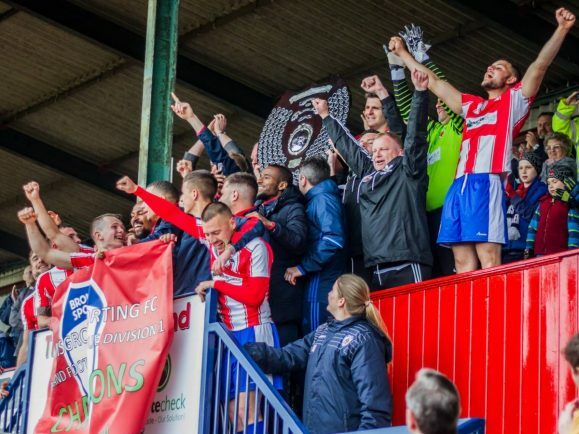 BROMSGROVE Sporting will kick-off their 2017/18 Midland League Premier Division campaign with an away trip to Quorn. Paul Smith’s men will begin their inaugural season at Step Five in Leicestershire on Saturday, August 12 (3pm KO) before welcoming county rivals Stourport Swifts to the Victoria Ground on Tuesday, August 22 (7.45pm KO). Last season’s ‘Invincible’ Division One champions then make the trip to Coventry Sphinx on Saturday, August 26 (3pm KO) before completing the opening month on Bank Holiday Monday with a home clash against old foes Highgate United. A much anticipated clash at Coventry United, who pipped Sporting to promotion in 2015, comes on Saturday, September 16 (3pm KO). Sporting travel to newly-promoted South Normanton Athletic on Saturday, September 30 before entertaining former Northern Premier Division One South outfit Rugby Town on Saturday, October 28. 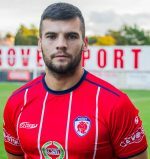 Boxing Day will prove to be a day of a big crowd as Sporting take on their tenants Worcester City, who took voluntary relegation from National League North, with the return fixture on Saturday, December 30. Fellow newcomers Haughmond, who won the West Midlands (Regional) League Premier Division last term, play host to Sporting on Saturday, January 20. The Rouslers are scheduled to complete their season at home to South Normanton Athletic on Saturday, April 28.